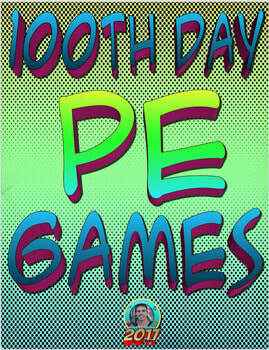 The 100th Day of School is a Big deal for Elementary students, and Teachers as well! It is a monumental number in any school year and each year there seems to be more creative and fun ways to celebrate. 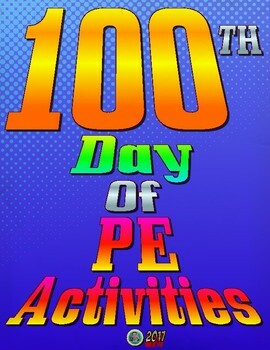 I have created 100th Day-inspired PE activities that can be used in the classroom or in the gym. Oftentimes, these last weeks are the toughest in keeping kids focused on learning. Don’t worry. We have a few tricks up our sleeve to help you through the end of the year. 1. Make some new rules. Classroom management often gets tough this time of year, but inventing a new, silly rule can help kids refocus and keep kids on task. For example, you might establish a "rule" that everyone needs to lip sync to a favorite song while you walk down the hallway. 2. Take an extra recess. Studies actually show that the more active kids are, the better they learn. So carve out some extra recess time—even if it’s just 10 minutes—to get them refreshed and focused on the day. 3. Set a weekly goal. Each week before the end of school seems to get a little bit harder. To help with this, try setting a class goal such as "Together we will read 1,000 minutes this week." 4. Set a daily goal. Let’s be honest—sometimes weekly goals just get lost in the shuffle. So try a daily goal instead. Example: "Today we will have no problems when we line up." 5. Try a new behavior system. Maybe your color system just isn't working anymore. It's time to bust out some incentives! If your students reach a certain goal, offer pajama day, class outside, or even tell them you'll dress up in a fun outfit or costume. 6. Start each day with inspiration. 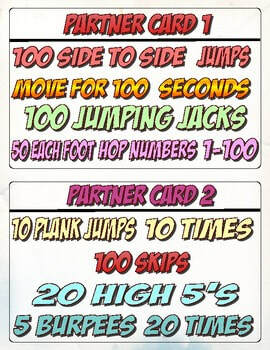 This is a good one to get kids involved. Have them research inspiring quotes from famous people, and then let them take turns reciting new ones each day. 7. Stttttttrrrrreeeeetttttcccchhhhh. Take a minute at least three times a day and get your students up to stretch their arms and legs. This is a little thing, but it can make a big difference. 8. Read a book about summer. Pick out a book for read-aloud time that will get them looking forward to summer. This One Summer and Summer of the Monkeys are both good options. 9. Take the lesson outside. Outside time always rejuvenates you and them. Now that the weather is finally getting nice, it’s a great time for an outdoor classroom. Here are 50 "get outside" ideas if you need some inspiration. 10. Try a new game. 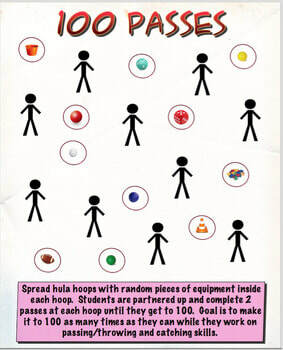 We love this balloon popping idea from Ron Clark that focuses on using different strategies to solve a math problem. 11. Jam out to some music. Like the need to stretch, sometimes music can really be the ticket to hitting the reset button. Check out this blog post filled with 45 classroom song picks from teachers. 12. Trade your class. Maybe you already know the joys of co-teaching, but if not, give it a try. Talk to a colleague and trade classes with them for about an hour once or twice a week. It might be just the thing you need to shake things up a bit. 13. Invite a special guest to your classroom. A pep talk can go a long way. Even if it's just your principal or guidance counselor, have them come in and talk to students about getting through the end of the year. 14. Start a countdown calendar. Much like the advent calendars around the holidays, this is a positive way to look ahead. Instead of filling the calendar with edible treats, fill it with fun things to do each day. We love this idea from The Teacher Treasury, which used balloons on the last day of school that students get to pop! 15. Sprinkle in a few jokes. Get out some index cards and write down a few dozen jokes. Or print out 50 jokes from One Beautiful Home. Tell students you’ll pull out a joke if they stay focused and on-task. It’s a small thing, but it gives them something to look forward to. 16. Rethink homework. Invite students to go on a walk and write down or draw what they see. Or ask them to research good books to read for the summer. 17. Encourage your students to set a goal. Ask students what they want to accomplish in these last weeks, and then have them write it down. It can be as simple as "read 5 new books" or "learn a new set of multiplication facts." 18. Hand out stress balls. Better yet, make your own with flour and balloons. Then let your students keep them at their desks. Being able to move and fidget actually helps lots of kids learn. 19. Get your parents involved. Talk with parents openly about how this can be a challenging time of year and that you would appreciate their help in reinforcing expectations at home. Be sure to mention what you are doing to help channel students' energy in the classroom, too. 20. Change up your classroom layout. Maybe you just need to move desks around. Or perhaps you want to relocate the reading area. Get students involved so it isn't a lot of extra work for you during this busy time of year. 21. Go back to the first day of school. Get all of your students to pretend like it’s the very first day of school. Welcome them to your classroom and tell them the rules. You might be surprised to see how effective this can be once you give them a reminder of classroom expectations. 22. Have a stuffed animal day. Let all your students bring in an animal for the day, and have them sit on their desks to listen to the day’s lessons. In turn, your students will likely listen to the lessons better, too. 23. Host a picnic lunch. 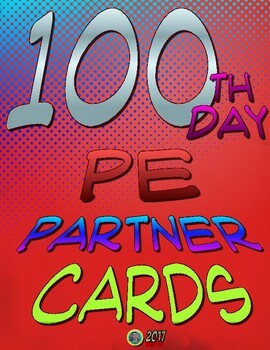 This is the perfect thing to reward your students with for good behavior. It gets them outside in the fresh air. Plus, it gives them something to work for. 24. Hold a book exchange. Have all your students bring in a couple of books that they don’t want anymore. You could pick some up for cheap at a thrift store, too. Then let them do an exchange. This will encourage summer reading and sharing of books. 25. Dream about summer. We’re all dreaming of summer and how we’re going to spend those few glorious months. So work this into your lessons. Let students talk about and write about their summer plans and dreams. Oh, and we can help you with yours, too. Check out 10 Things Every Teacher Should Try This Summer.